FC Barcelona Lassa’s incredible winning run in domestic play came under serious threat on Wednesday night in Benidorm. They found themselves in the unfamiliar situation of playing catch-up for almost the entire match – and things were only decided in the last five minutes and by a narrow margin of just three goals. 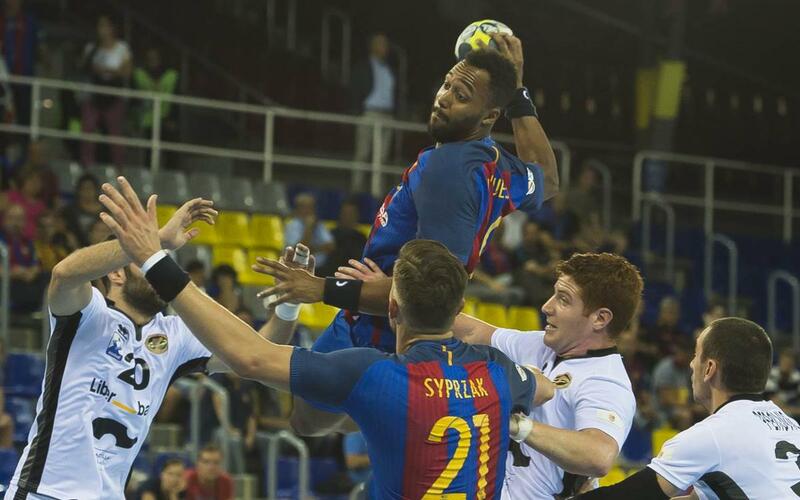 Home coach Fernando Latorre stunned the Catalans with a daring 7-man attack, and the gamble looked to be paying off until the 22nd minute, when Nguessan finally nudged Barça into the lead. The Frenchman found some astounding form in the final minutes of the game, and that coupled with some tremendous goalkeeping work from Pérez de Vargas ensured the win and some huge sighs of relief in the Barça Lassa camp.